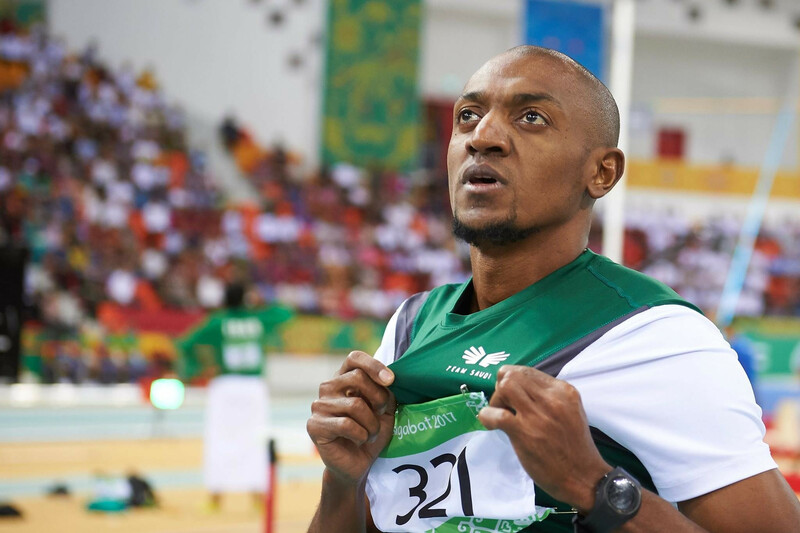 Saudi Arabia’s Ahmed Khader A Almuwallad was in record-breaking form on his way to winning the men’s 60 metres hurdles title on the opening day of indoor athletics action here at the 2017 Asian Indoor and Martial Arts Games. Almuwallad posted a time of 7.66sec that bettered the 7.82 set by China’s Wu Youjia at the 2007 edition of the event in Macau. South Korea’s Lee Jungjoon was the runner-up in 7.77 and Hong Kong’s Cheung Wang Fung rounded out the podium in 7.85. "I am very happy as this has been a long season for me" Almuwallad said. "Thank God, I had no injuries throughout this season. "I crashed into the first hurdle and in training I have been better - posting like 7.50 or something. "I’m not surprised to win, but I am still very happy." 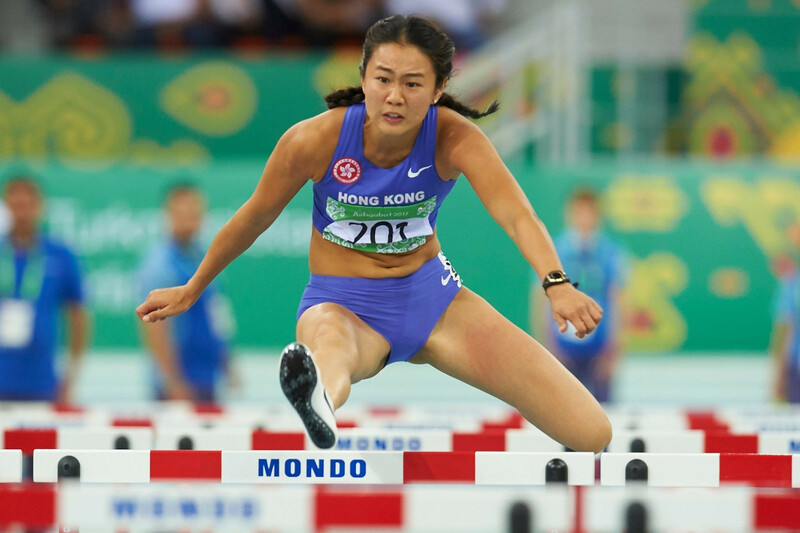 The women’s 60m hurdles event was won by Hong Kong’s Lui Lai Yiu in a personal best time of 8.41. Thailand’s Suchada Meesri finished second in a personal best 8.56 and Kazakhstan’s Anastassiya Vinogradova came third in 8.59. Today’s one other final on the track was the women’s 3,000m as the United Arab Emirates’ Alia Mohammed S. Mohammed triumphed in 9min 25.03sec. India’s Sanjivani B. Jadhav had to settle for the silver medal in 9:26.34. China’s Wang Jinyu completed the top three in 9:57.43. Among the stand-out performances in the field events was that of Kazakhstan’s Ivan Ivanov, winner of the men’s shot put final with a Games record throw of 19.60m on his first attempt. The Rio 2016 Olympian improved on the previous mark of 18.99m set by Saudi Arabia’s Sultan Al-Hebshi at Macau 2007. India’s Tajinderpal Singh Toor took second place with 19.26m, while a season’s best 19.24m for South Korea’s Jung Ilwoo was enough for third spot. Ivanov’s compatriot Sergey Grigoryev also set a Games record in winning the men’s pole vault, registering 5.40m to add 10 centimetres onto the mark set by fellow Kazakh Artem Pilipenko at the inaugural edition of the event in Thailand’s capital Bangkok in 2005. He suffered what appeared to be a nasty injury in attempting to improve the mark to 5.50m and had to be stretchered away from the competition area. Thailand’s Porranot Purahong beat compatriot Patsapong Amsam-Ang to the silver medal on countback after both managed to post 5.20m. There were also victories today for Uzbekistan’s Nadiya Dusanova in the women’s high jump and Kazakhstan’s Olga Rypakova, the former triple jump Olympic champion, in the women’s long jump. Dusanova registered a mark of 1.86m to lead an Uzbek one-two finish ahead of Safina Sadullaeva, who beat Hong Kong’s Yeung Man Wai to the silver medal on countback after both managed 1.83m. Rypakova, meanwhile, leapt 6.43m to secure top honours with Vietnam’s Bui Thi Thu Thao second on 6.36m and India’s Neena Varakil third on 6.04m. The one other event completed today was the women’s pentathlon, which saw India's Purnima Hembram prevail with a total of 4,062 points. Among the highlights of the 24-year-old's success in her first-ever pentathlon was victory in her 60m hurdles heat in 8.56 and in the long jump with 5.97m. Thailand’s Wrtaf Wassana Winatho was the runner-up with 3,915 points, followed by fellow countrywoman Sunisa Khotseemueang with 3,903.